Engagement photos are a lot of fun for me because I get to really get to know a couple before I photograph their wedding. It helps me get a feel for the comfort level and style they like so I can apply those likings on their wedding day. It also helps the couple to get to know myself better. As the photographer, I am going to be with be their pretty much the whole day of the wedding so engagement photo sessions really set the tone for how the wedding day will be. If the couple is relaxed and easy going then more than likely they will be the somewhat the same on their wedding day (especially at the reception). 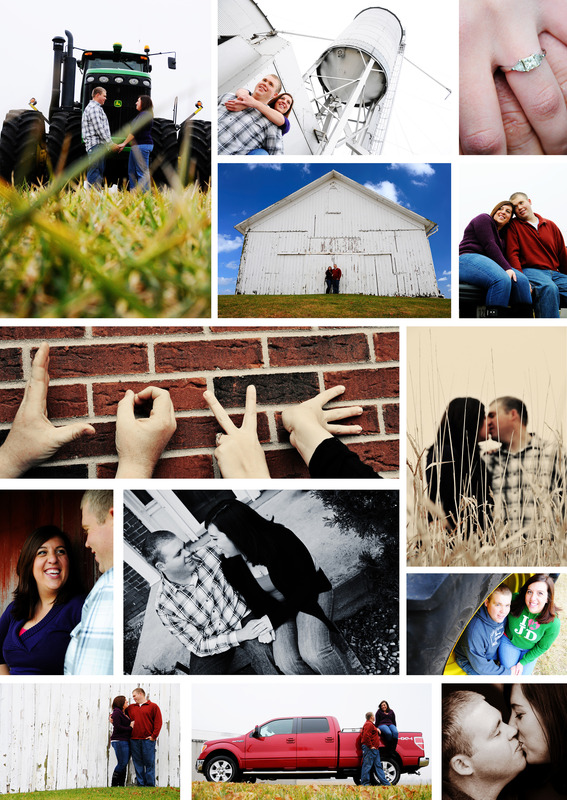 Recently I had the opportunity to photograph this couple’s engagement photos on their farm and their parent’s farm. There were some great looking old barns with the paint worn off (love that), some grain/corn bins, John Deere tractors, and much more! This is the perfect fit for this couple. I had such a good time taking their engagement photos! It was cold outside, but they hung with me to get a lot of good photos. I’m looking forward to photographing their wedding this year too!